The American Cancer Society (ACS) has issued recommendations for screening with low-dose spiral computed tomography (LDCT) scans of the chest for individuals at high risk for lung cancer. The ACS also supports an individual’s decision not to be screened, even if they fall in this high-risk category. 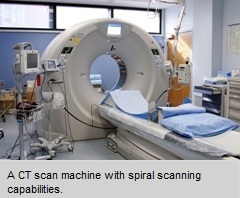 These recommendations are based on findings from the National Lung Screening Trial which found that low-dose spiral CT scans done on an annual basis reduces the risk of dying from lung cancer. Currently, few insurers cover the cost of the screening test and individuals who are eligible may have to pay for the test. The ACS urges public and private health insurers to expand coverage for annual low-dose CT scans to reduce mortality from lung cancer. If you or someone you care for would like to be screened, the ACS recommends that testing should be performed at a facility with experience in lung cancer screening, such as Fox Chase Cancer Center. However, screening is not a substitute for quitting smoking. The most effective way to reduce lung cancer risk is to avoid tobacco in any form.